With the Dinghy Show fast approaching (March 2/3 2019) we wanted to make sure you knew who to come and see on the stand (B70-74) over the weekend. Our Sales Team is ever increasing both in numbers and experience. Headed up by Sales Director Riki, and joining Steve and George (who had their Dinghy Show debut in 2018) and who look after Retail Sales, we would like to introduce Jake – our new Training and Fleet Sales Coordinator. Working in Sailing Centres for the last 10 years I have become well acquainted with RS and when an opportunity came up to join the team, there was only one option for me. I am very excited to get involved with the training fleet at RS and support all the training centres and clubs around the country that are using our boats. I grew up on the south coast and was introduced to sailing by the Sea Scouts. Since then I have worked in various sailing centres and clubs. In my spare time I coach an RYA Zone Squad and develop new RYA Dinghy Instructors as a Coach Assessor. Moving forwards, I am excited to support all the Clubs and Training centres across the country in delivery of the sport we all love. Whether that is helping with the best way to rig a boat, tricks to get the most out of a certain session or getting people the equipment they need to do the job, I’m happy to help. I will be at The Dinghy show as well as several RYA Instructor Training Days and would love to meet you all so please come and say hi. 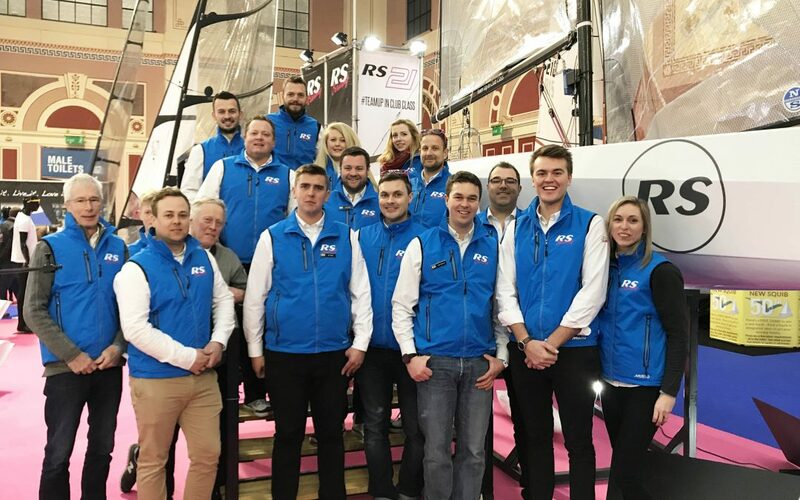 The RS Sailing Store team will also be on hand at the Show to answer any questions or point you in the direction of the correct spare parts online. Led by Andy, these guys have an impressive amount of knowledge across the entire RS Range! To find out what else is happening on the RS Sailing Stand during the Dinghy Show – click here. For more contact details across the Team at RS – head over to our contact page.